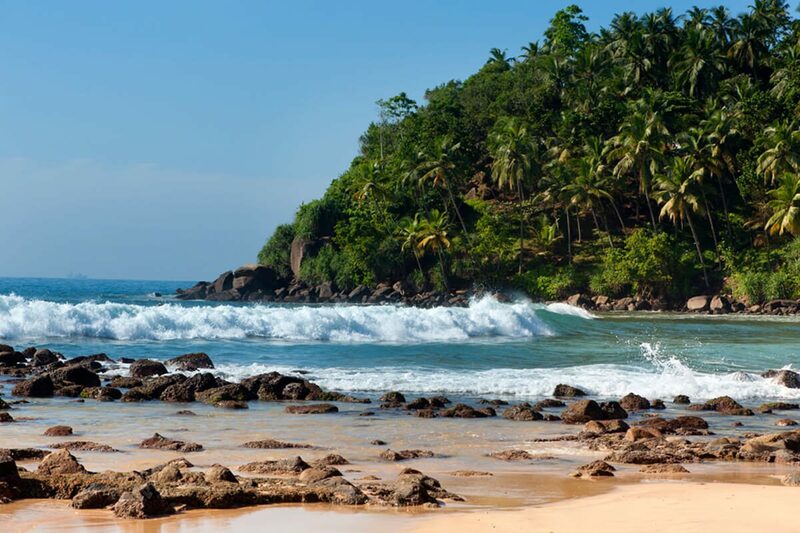 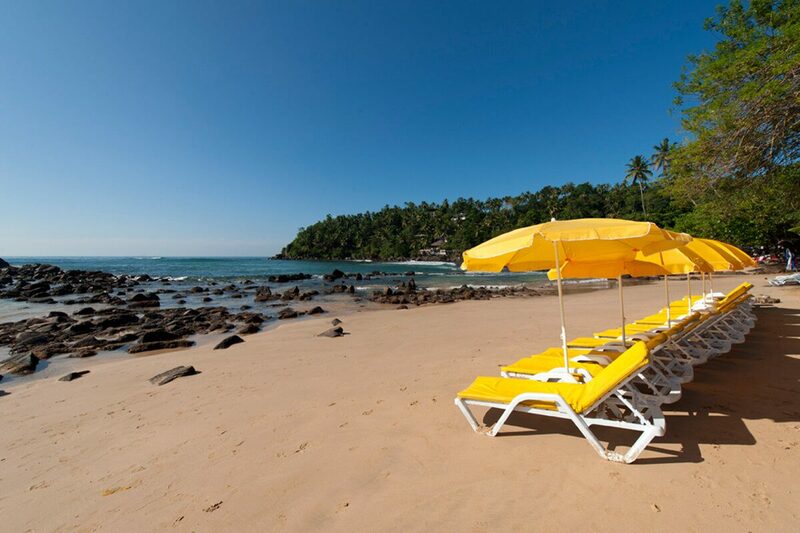 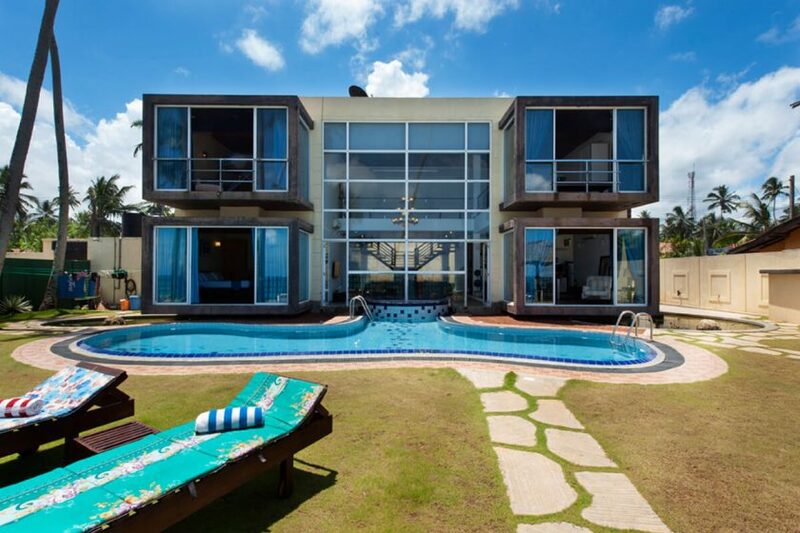 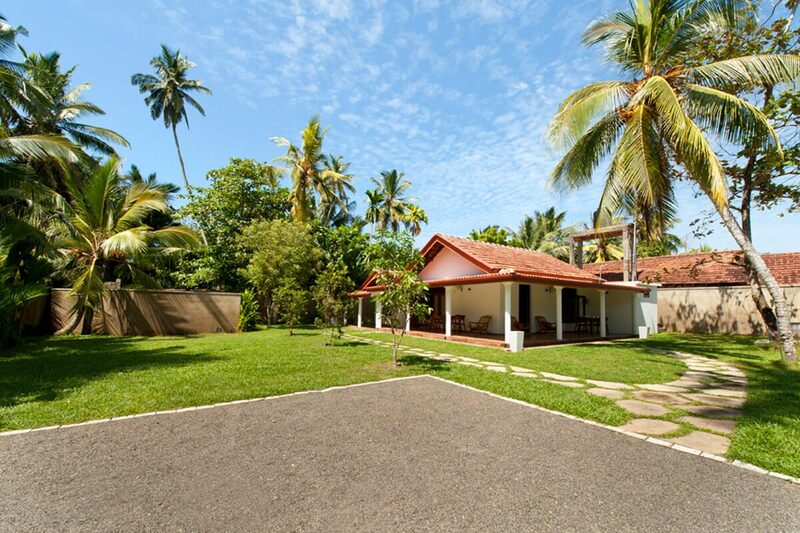 A beautifully renovated house, Fantasea welcomes you to relax, unwind, and enjoy the beauty of Mirissa. 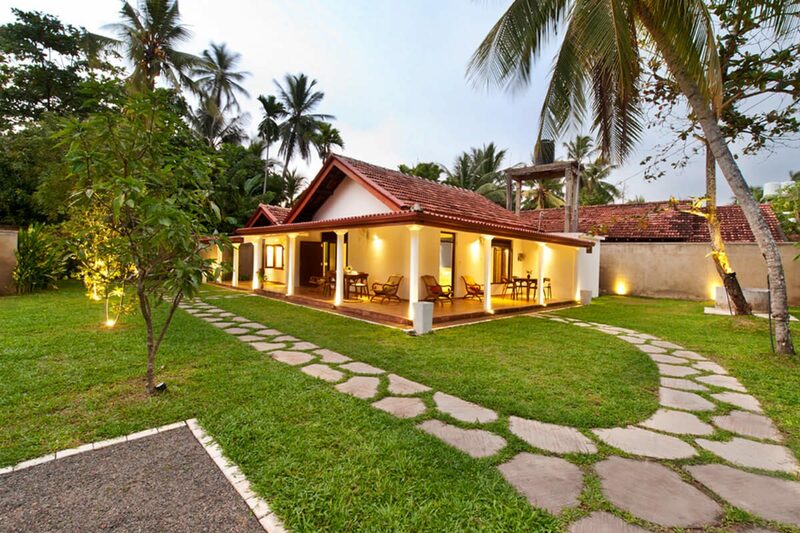 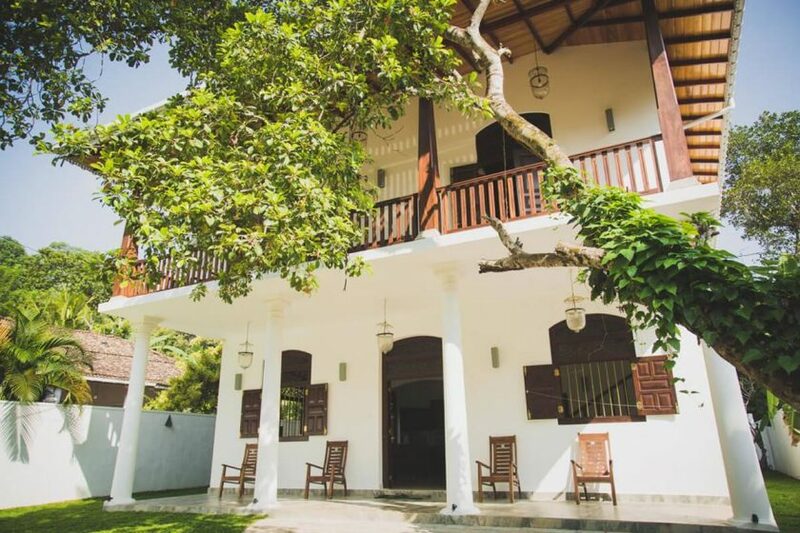 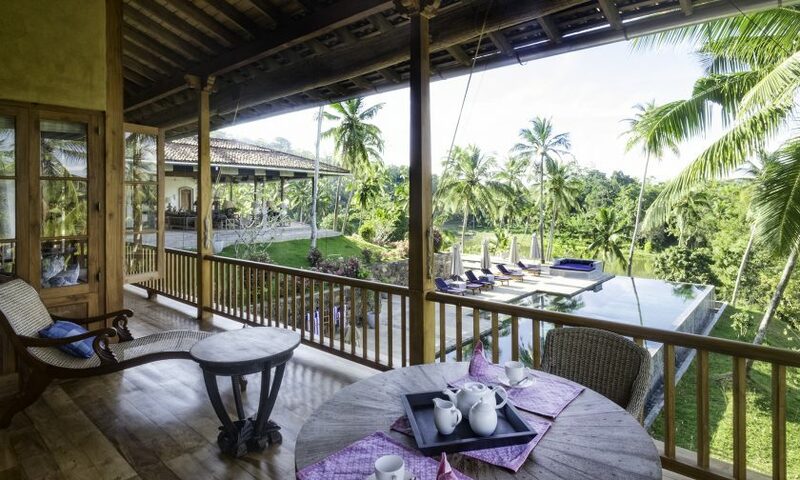 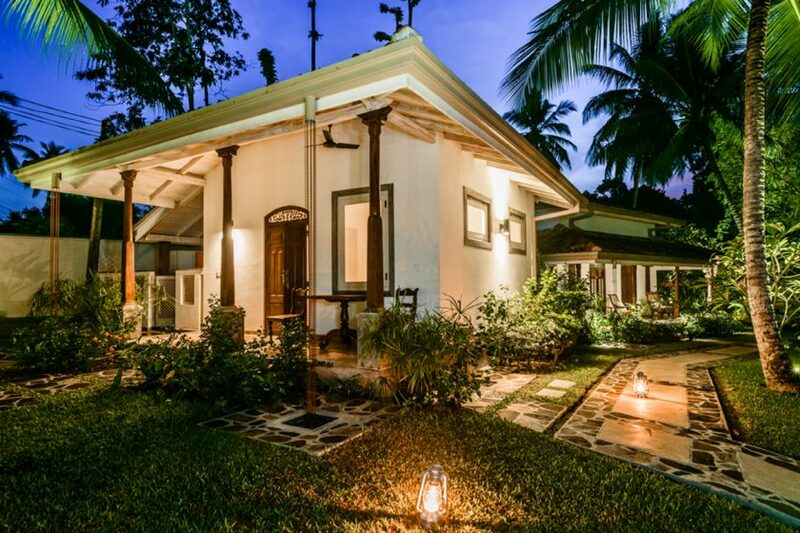 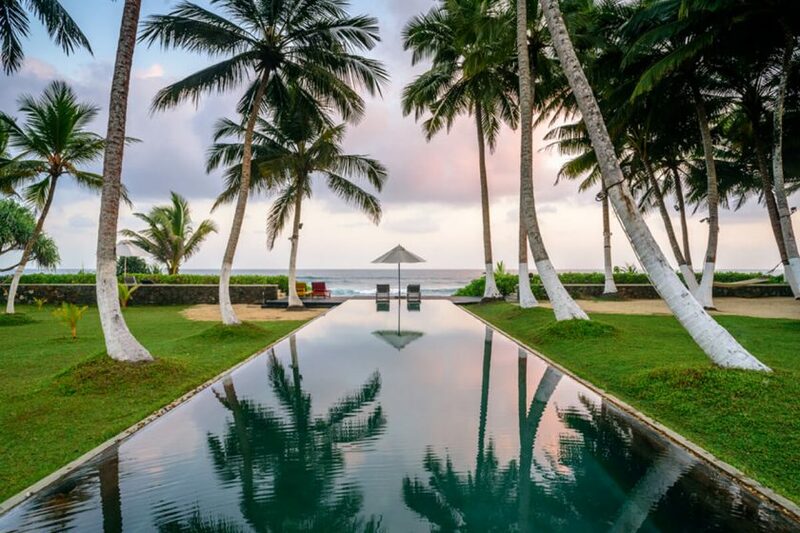 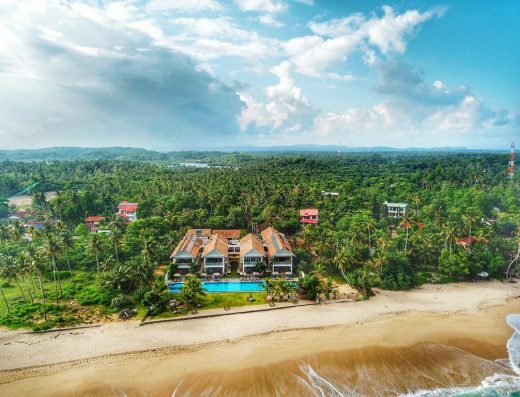 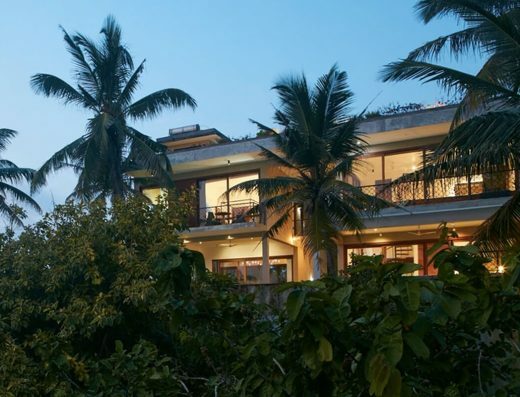 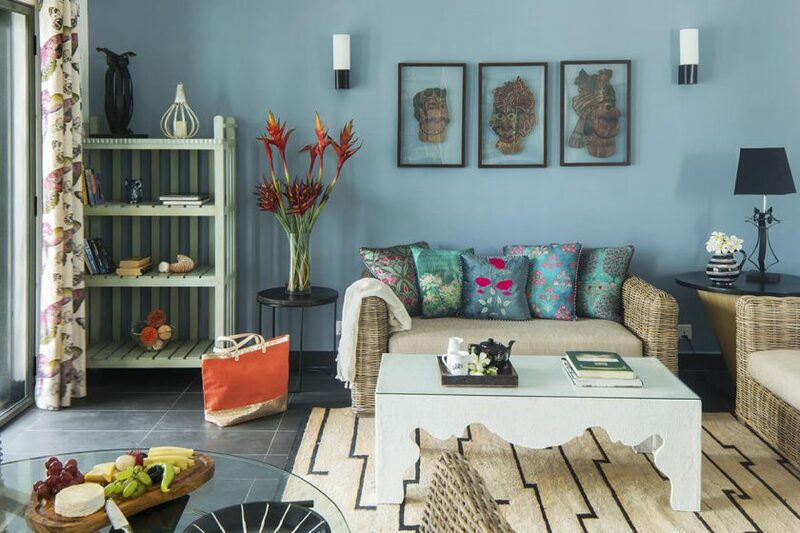 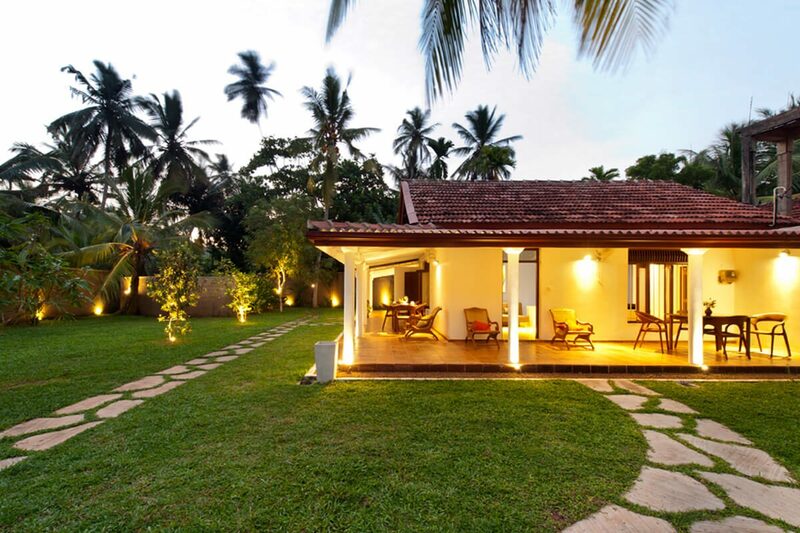 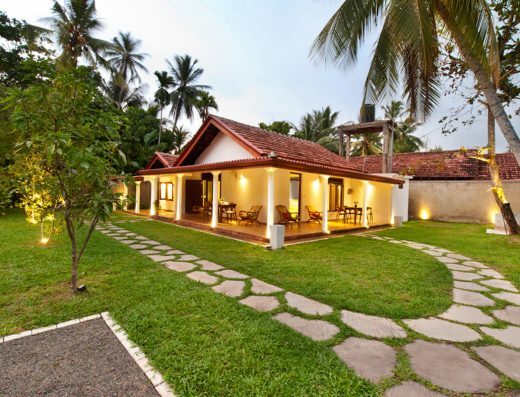 Fantasea, the latest Villa in Mirissa has been lovingly restored by its current owner as a cozy and convenient villa for guests to explore Mirissa in comfort and ease as it is located just 5 minutes away from the Mirissa Beach. 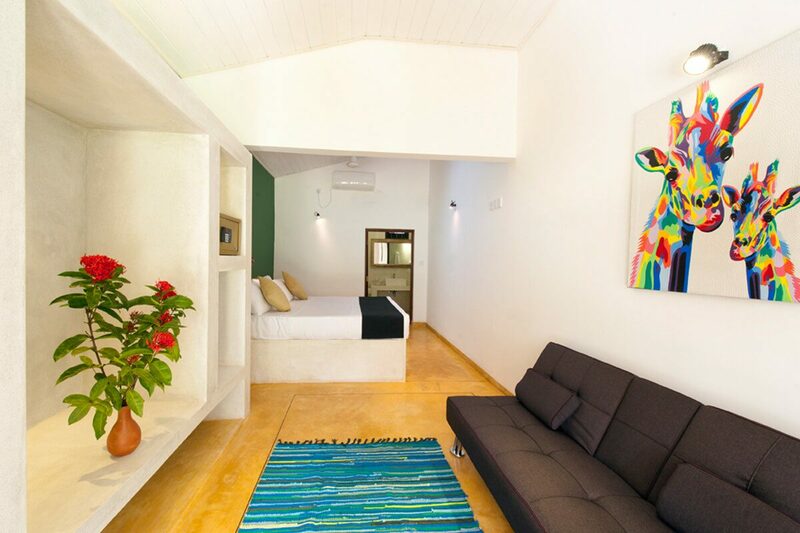 Spacious and welcoming, the living space in Fantasea is comfortable and stylish and oozes charm and style. 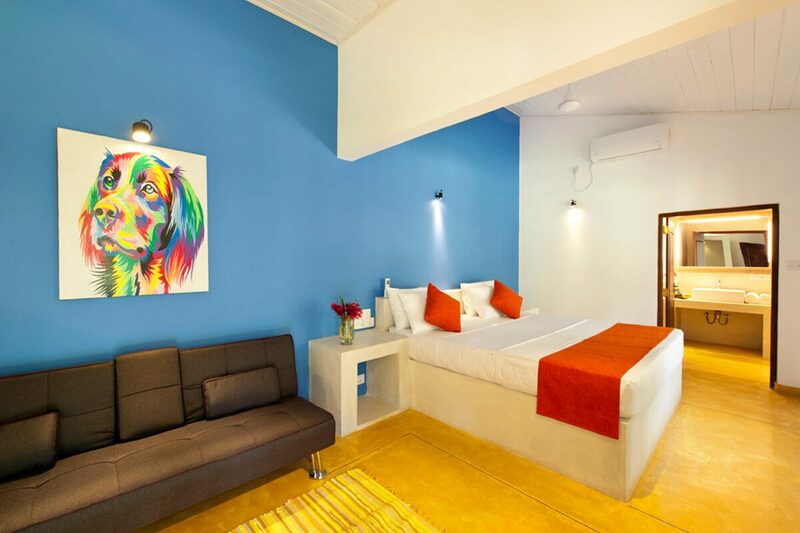 Its combination of classic whites coupled with funky paintings and modern amenities all contribute to the understated luxury of Fantasea. 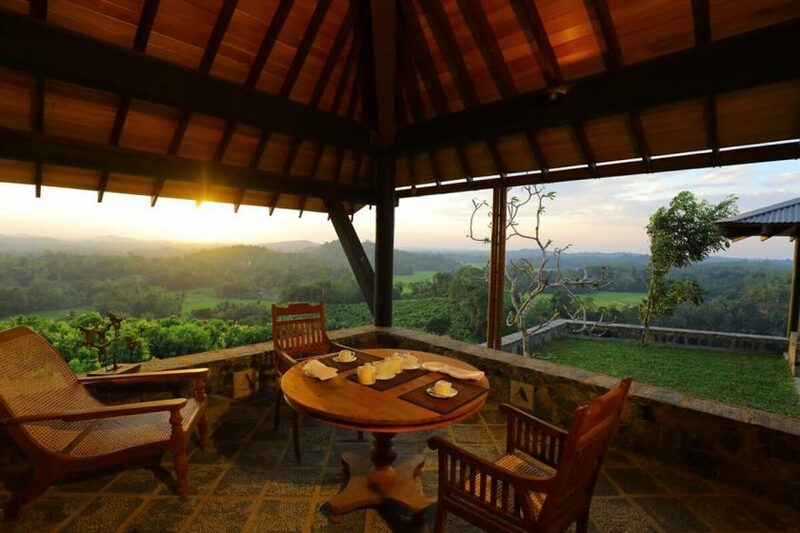 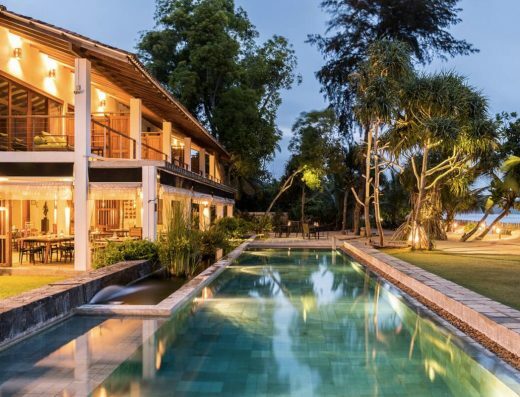 You will appreciate the calming ambiance and space from the moment you enter this beautiful villa. 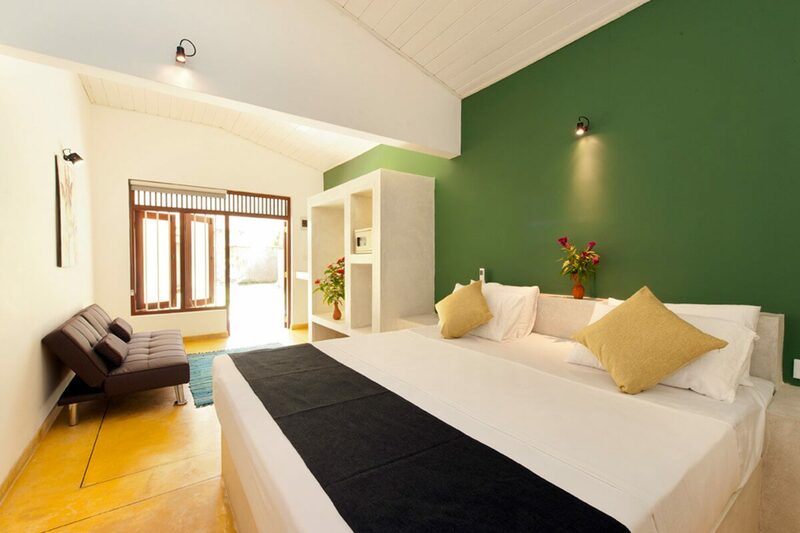 Decorated with splashes of tropical color and tasteful art, the bedroom offers a calm oasis to rest and relax. 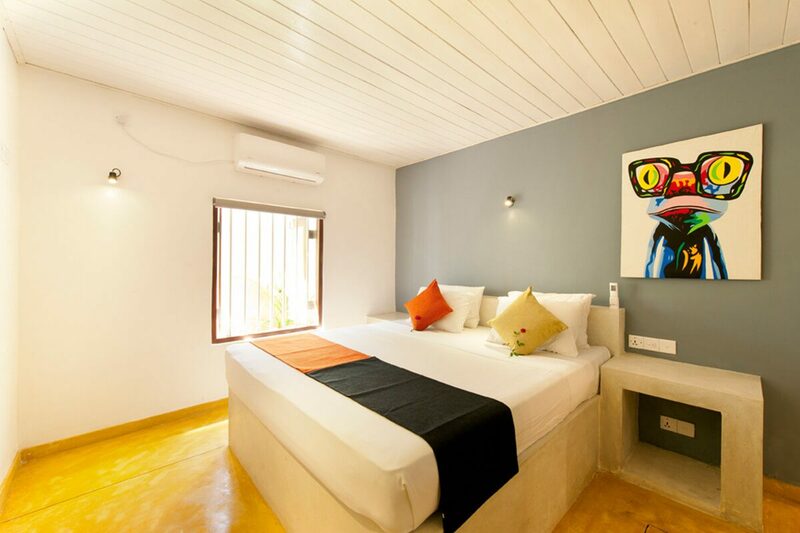 With a luxuriously comfortable double bed fitted with A/C, we ensure that your nights with us will be as enjoyable as your days. 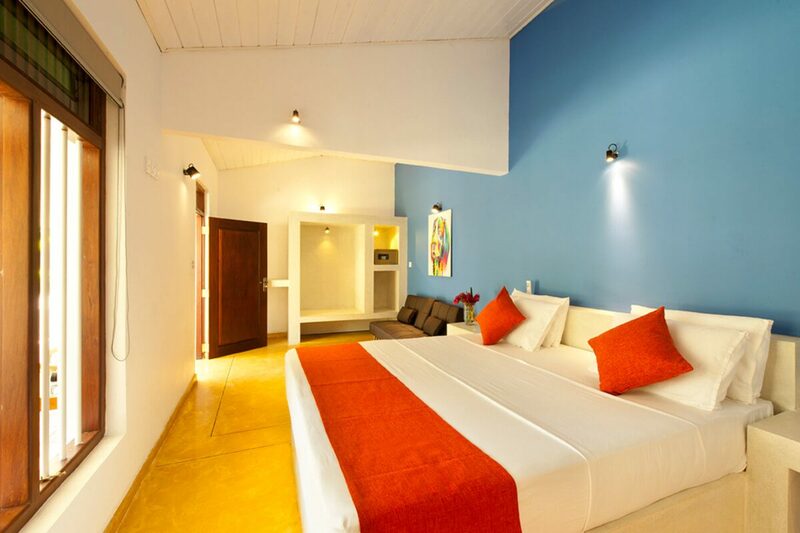 A comfortable mattress accompanied by the finest quality cotton sheets, you will find going to bed an absolute joy! 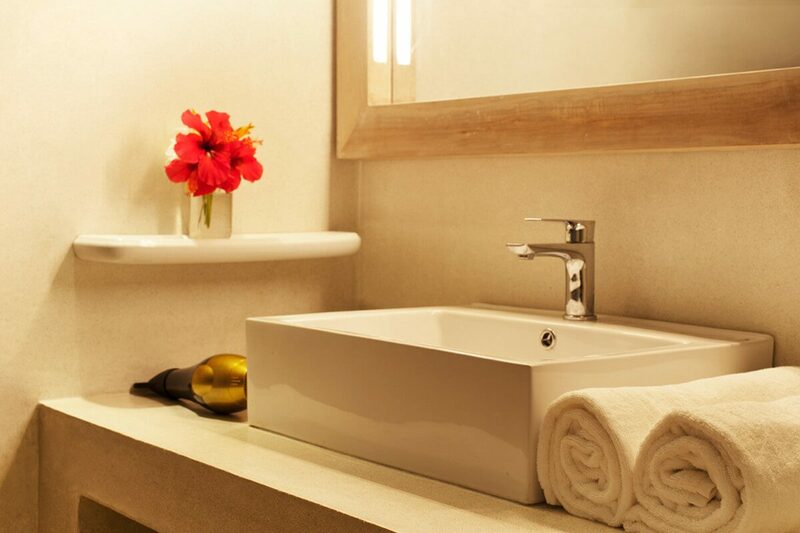 Fantasea boasts large contemporary ensuite bathrooms designed with comfort and style in mind. 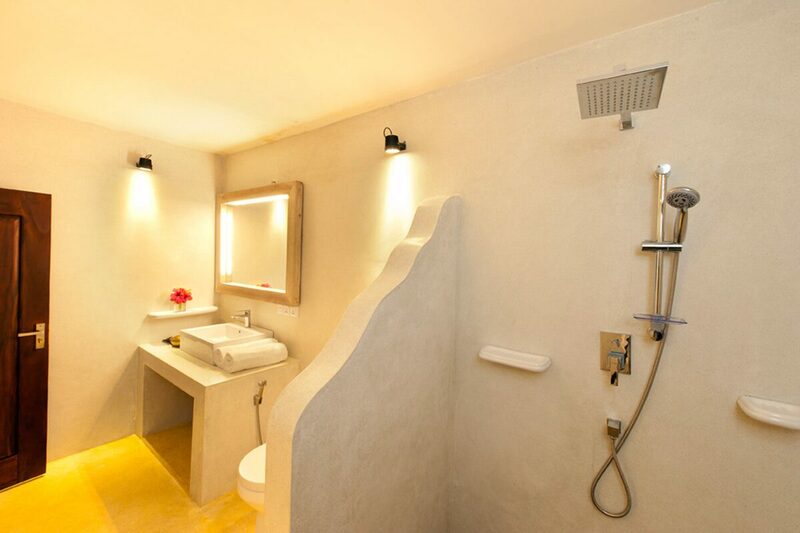 Clean and spacious with a large walk-in shower and plenty of storage, the bathroom has everything you could need to ensure your showering experience is both enjoyable and luxurious. 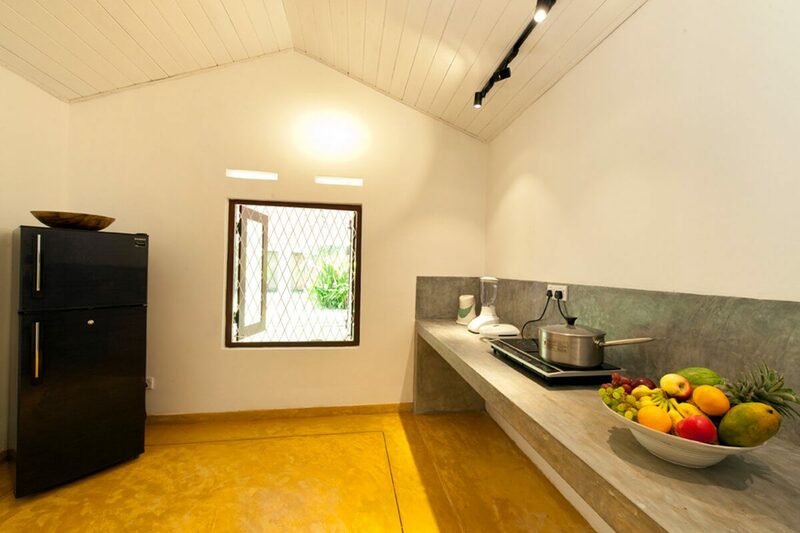 Breakfast, Lunch & Dinner are available on request. 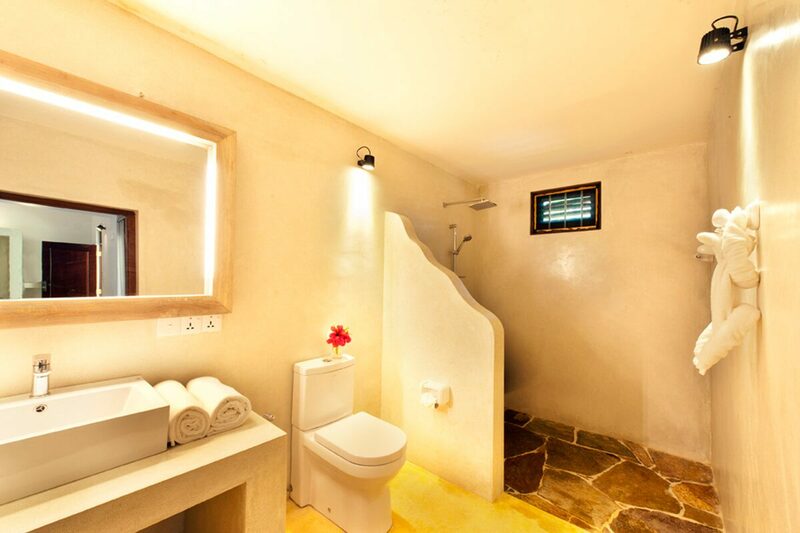 There are menus for all meals from which you could choose. 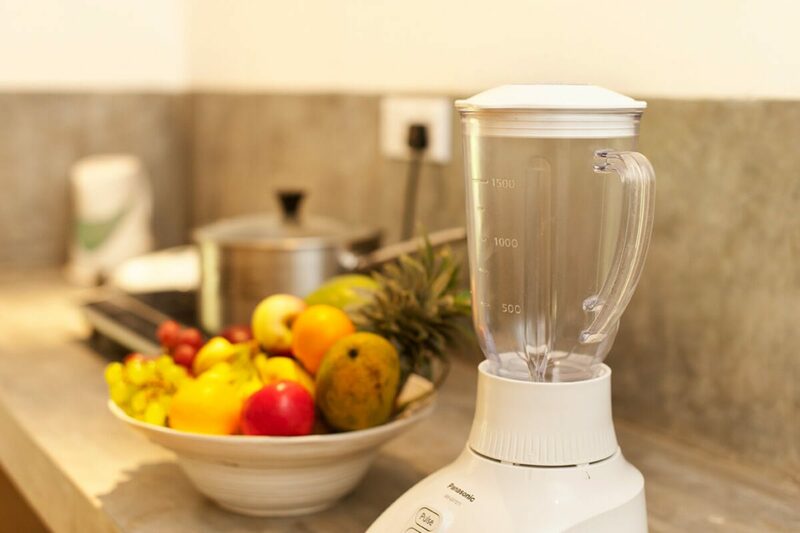 Orders have to be placed in advance.